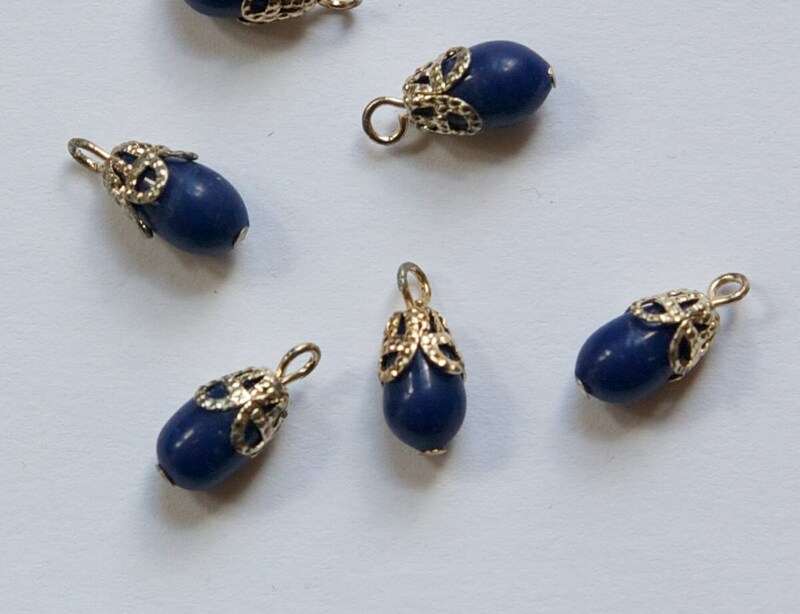 These are vintage glass drops that were made in Japan. 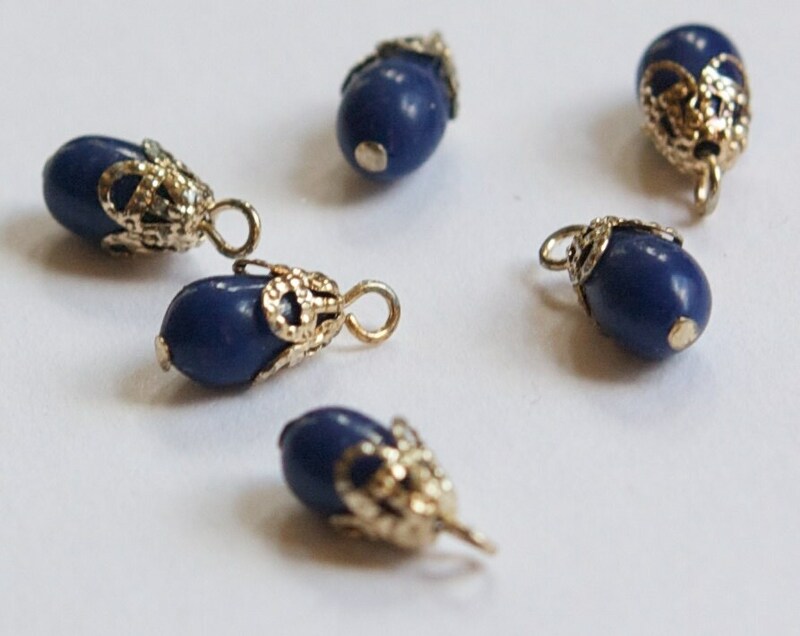 These are navy blue with pale gold tone bead caps. They have a top loop. These measure 13mm long with loop x 6mm wide. You will receive 6 pieces. I am thrilled with my purchase!!!! Thanks so much.